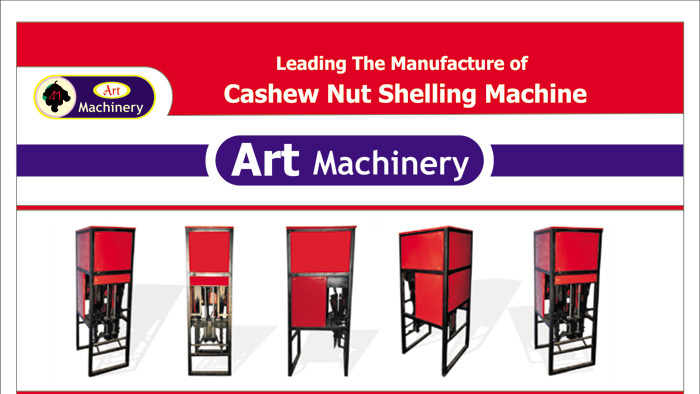 ART Machinery set up in 2007 is a professional maker and supplier of New Automatic Cashew Nut Shelling Machine.Initially,we just took the research and design the cashew nut shelling machine. As the time went on we gradually hold the technology of producing the machine mearwhile,we established a whole mature technology and system of quality assurance. Hard working and the persistent spirit created the miracle. Eventually we are able to produce the machine with the good quality just that meets the market requirements. 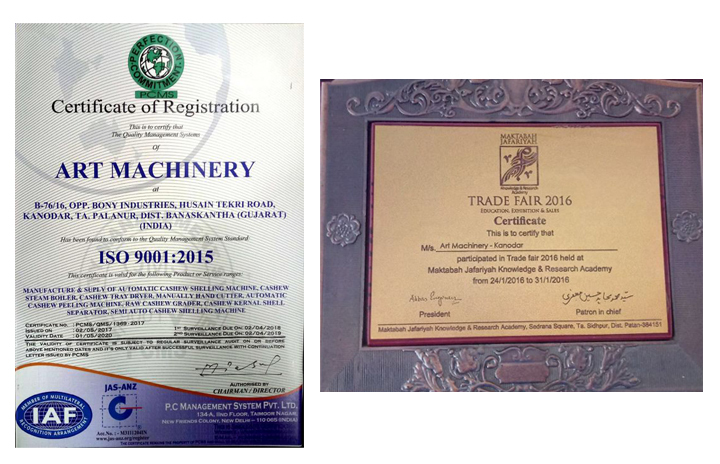 The test of market is the sign of our success At present, lots of our machines has been sold and used in different places of INDIA that produce the cashew. We will continue to attach the great importance to the quality and service to our esteemed customers. Quality is our first job. Good service helps us attract our customers.
" Your satisfaction and success are our goal and pursuit! "